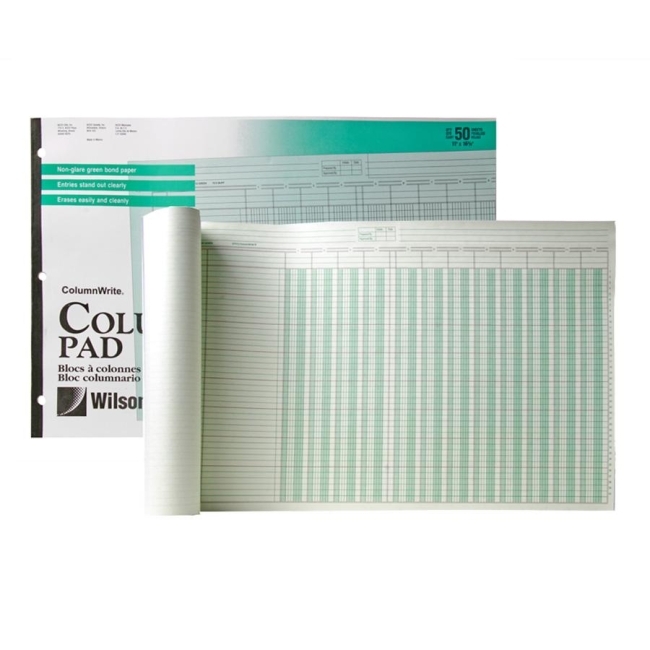 Columnar pad offers 50 sheets of heavyweight, green-tinted bond paper for pen and pencil writing. Pages are ruled in brown and green ink on one side only. Chipboard back provides writing support, and flexible Pressboard cover protects your work. Pad is three-hole punched with 1/4" diameter holes.